today's DIY is a quick little discovery! 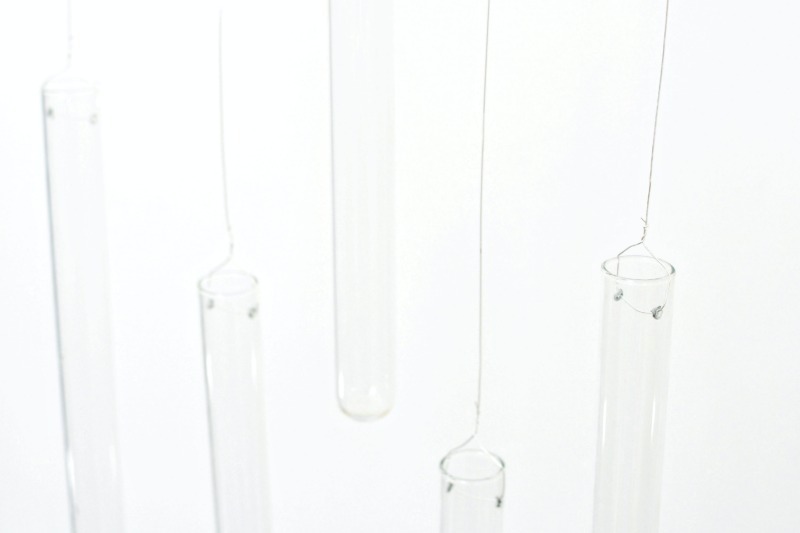 when james and I went to stockholm our apartment had a wooden test tube display that I loved so I went hunting for some test tubes on amazon..
after a quick browse I discovered some hanging test tubes, they were even better than what I'd been looking for so I snapped them up. 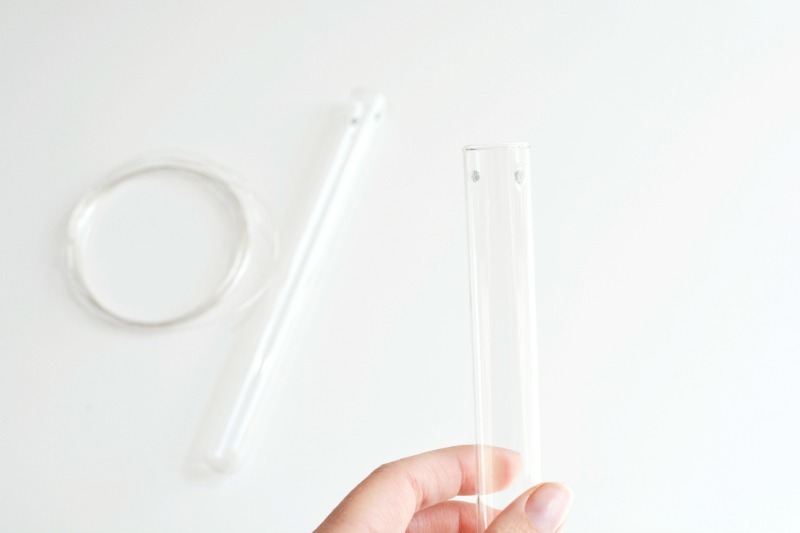 the test tubes have pre cut holes at the top so they're perfect for hanging and make a really sweet display for your walls. all you need is the test tubes and some fine wire -I've used jewellery wire which is easy to source online or in craft stores. just feed it through the holes and twist it around itself to secure it in place. 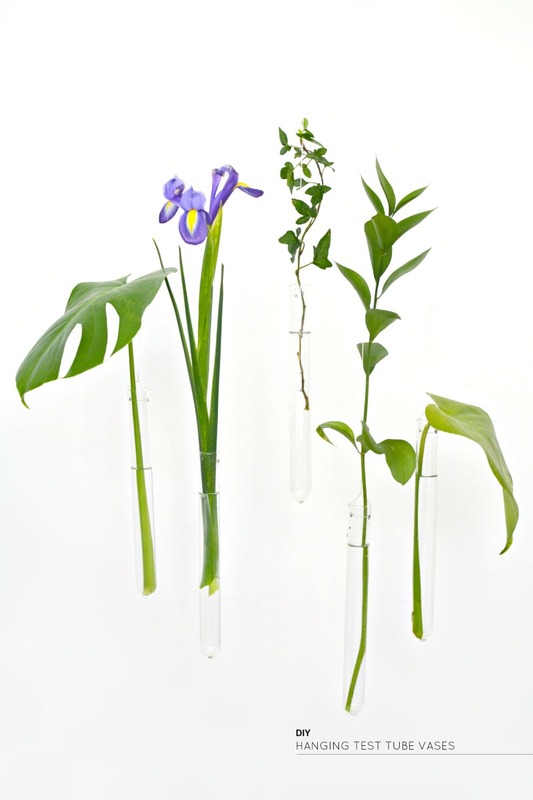 to hang them just attach a small screw hook to your walls or ceiling and get hanging! they took no time to put together and I love how simple and ethereal they look just hovering from the ceiling. 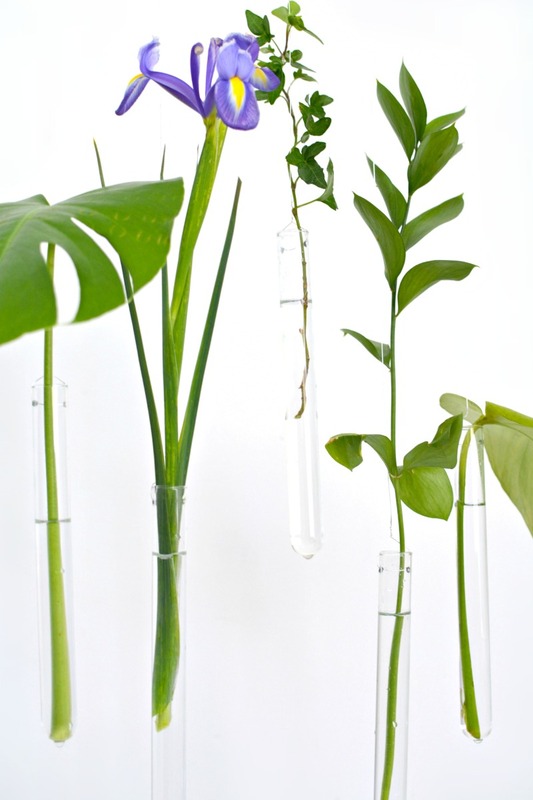 you can pick up the test tubes here if you fancy trying this little DIY too! This is such cute, unique idea! They looks so gorgeous and chic - I imagine they'd cost loads to buy at a shop. I really want to try to make these! At last someone who understands me! 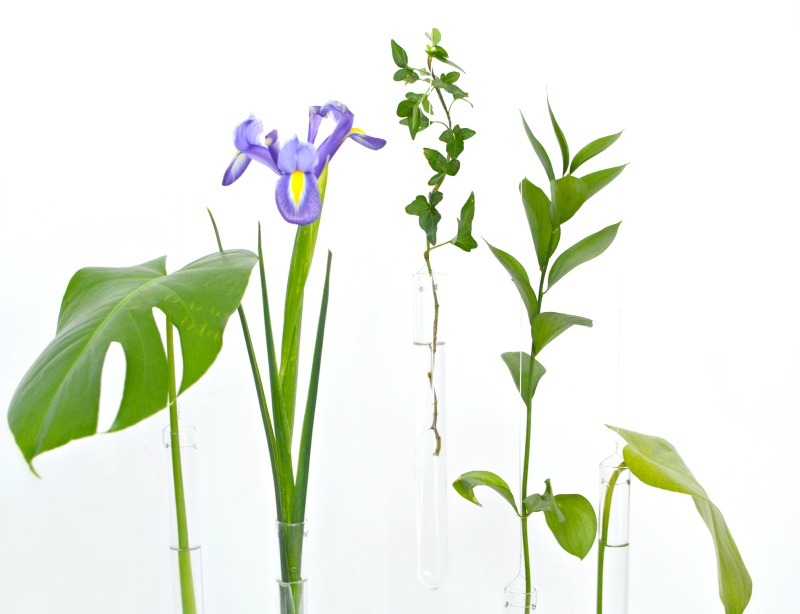 I have lots of old test tubes from when I worked in a lab & have been using them for years to display single flowers or pieces of greenery or even feathers! I picked up a clear acrylic makeup brush display that fits the tubes perfectly for when I want to do a cluster display. I'm a chemistry student so these are right up my street. Awesome. These are wonderful, but then everything you do is. Adorable! I've always seen pictures of them but never thought to actually make them myself...guess I have a good project for next weekend! Such a cute DIY. Something pretty different from all the copper cropping up all over the place!